New luxury housing development in the West Midlands. An innovative service offering from SIG, a leading supplier of specialist building products in Europe, has offered a number of benefits to a new luxury housing development in the West Midlands. 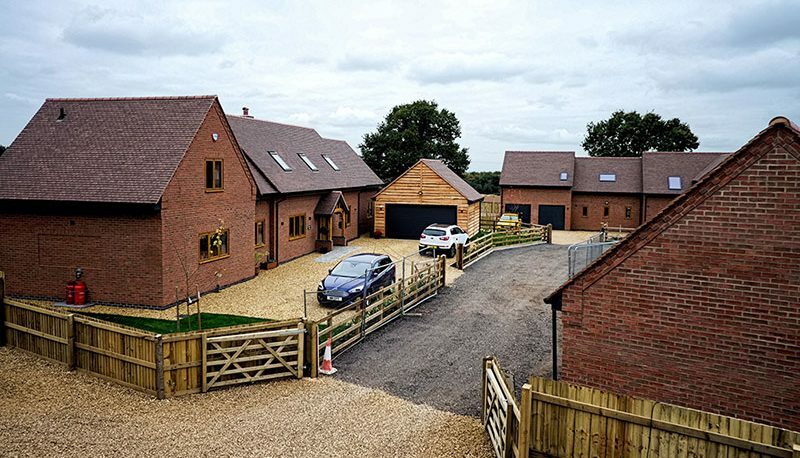 Developed by Town & Country Design & Build Ltd, the four-home Becks Grove development – located in the Solihull village of Meriden – is being built with input from SIG360. Created in order to provide its customers with guidance on the most appropriate products for their projects, the SIG360 Technical Centre’s experts work with the client to create energy efficient properties in order to benefit developers, and ultimately, homeowners. By examining each project on a case-by-case basis, SIG360 allows costs to be reduced by avoiding over-specification, while meeting requirements such as Part L of the Building Regulations 2013, which sets the standard for the conservation of fuel in new dwellings. In order to achieve this on the Becks Grove project, SIG’s team of experts carried out an assessment of the materials specified and the preferred method of construction, before suggesting impartial alternatives from a wide range of more cost effective products. These changes were then qualified by the provision of an ‘as designed’ Standard Assessment Procedure (SAP) assessment which proved building regulation compliance. As part of its standard service offering, SIG360 will provide the developers with ‘as built’ SAP assessments and Energy Performance Certificates (EPCs) once the project is complete. By signing up to our newsletter you agree to receiving email marketing communications direct from SIG 360 Technical Centre. Your details WILL NOT be shared with any third parties.